Enter your email address below to receive a notification when SensiBox by Spiced UP starts accepting new sign-ups! Enter your email address below to receive a notification when SensiBox by Spiced UP is accepting new sign-ups again. We ship every month between the 10th-12th. 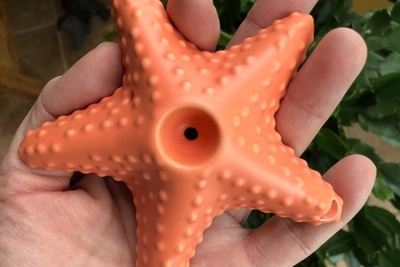 SensiBox: Hand curated items for every smoker! SensiBox wants to be your personal shopper bringing you unique and quality essentials each month. No need to go to the head shop, only out to your mailbox... making it discreet and easy! What a great box. Better than others I’ve tried! Worth every penny! Thanks so much! After researching cratejoy for smoke sub boxes I felt Sensibox was fairly priced, had good products judging by the pictures, offered a good selection of smoking essentials, and liked how it is curated for women or men so I purchased the 3month prepaid Sensibox light subscription. I was wicked excited for its arrival and when it arrived I ran into the house and opened it immediately!! The first item I took out of the box was a donut shaped glass piece. I thought it was cool and unique. Even though I didn't love it, it is a great conversation starter and a big hit with my stoner buddies. The next item was XL freshly baked rolling papers and I was happy with the size and quality. I then came across a pair of confetti colored cupcake socks with pompoms at the top. The socks aren't my style so I gave them to a friend and she loves them so I am happy I was able to make her happy which is a win! Also included was a small notepad which is cute and has fun graphics on the cover with white unlined paper inside and it fits great in my backpack purse. I’m sorry you were disappointed with your first SensiLight Box. Everyone has differing opinions and I get where you’re coming from, but many other subscribers really enjoyed the box. I suggest that you follow us on Instagram where we have sneak peeks of both the SensiLight and SensiBox Original. You can see if the next box is something you’d like and if not you can always skip a month. We strive to make everyone a SensiBox lover and we hope your next SensiLight Box will wow you! Got this as a gift for my brother. He really enjoyed the first two shipments. The glass pieces were beautiful and nice to use. 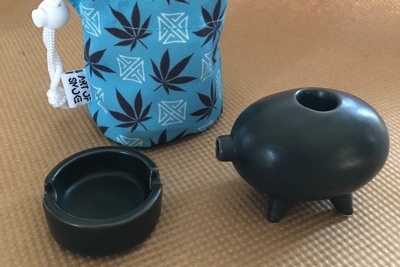 In the last shipment the glass pipe was shaped like a doughnut, and while it looks really cool it is not very functional. 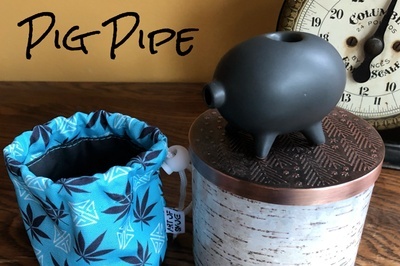 The surprise items included are themed to match the pipe. There is usually a smoking accessory or two (rolling papers, cone tubes) and some other type of accessory or two (socks, lanyard, pin). I got the three month subscription and for the price the value is fantastic. I will probably get this again for his birthday. Absolutely THE best sub box I have ever ordered!! My first box was awesome and I can't wait to get the next! Highly recommended!! Ordered this as a birthday present for myself. Loved the cute baked theme. The donut piece is super adorable ❤️💕 The cupcake socks are totally me. My sister works at a bakery so I gave her the "freshly baked " bakery truck pin. Little doodle book was cool. But I didn't get any rolling papers, which I was disappointed with. But all in all it was a fun little gift for myself that I think I'll try again! I’ve been subscribing for about 8 months and this latest box is the best! Every box has a cool glass piece and loads of other goodies, some practical and some fun. There’s also always something handmade, too, which I appreciate. Thanks, Helen! I've had several bud based boxes and this is by far the best. 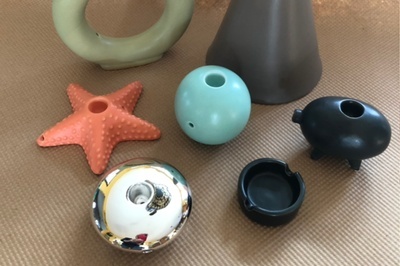 The pieces are cute and great quality and everything is very unique. I loved it all, I can't wait to see what comes next time! I bought the $20 and $35 holiday boxes for my husband as a few of his Christmas presents, and he really enjoyed them! They each came with different pipes and accessories. I was surprised and pleased and will definitely keep my subscription.